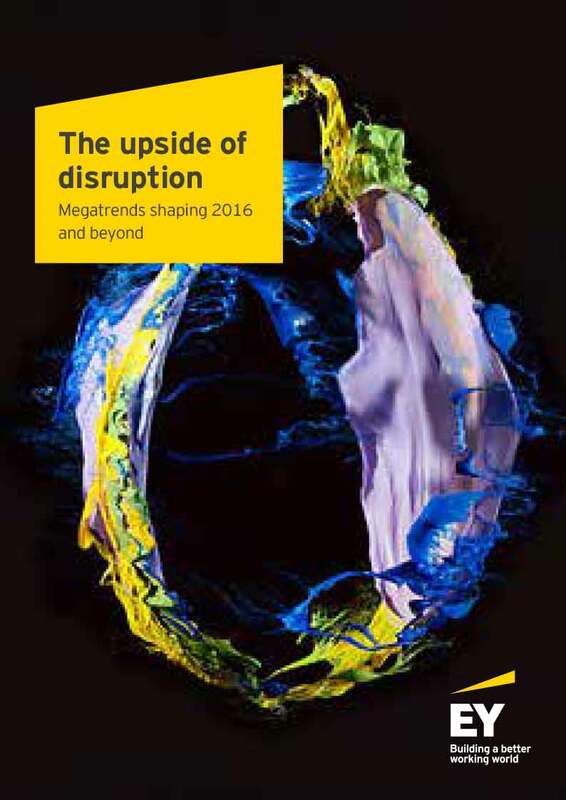 Disruption is fundamentally changing the way the world works. Today's businesses, government and individuals are responding to shifts that would have seemed unimaginable even a few years ago. Artificial intelligence and robotics are reinventing the workforce. Drones and driverless cars are transforming supply chains and logistics. And changing preferences and expectations – most notably in the millennial generation – are altering consumption patterns and demand for everything from cars to real estate. Three primary forces drive this current wave of disruption: technology, globalization, and demographic change. Technology – Advances in technology have been disrupting business models for centuries. In our lifetime, successive waves of the IT revolution (PC, online, mobile, social) have democratized data, empowered consumers and spawned scores of new industries. The next waves – the Internet of Things (IoT), virtual reality, AI, robotics – promise to be even more revolutionary. Globalization – Thanks to trade liberalization and emerging market growth, globalization has accelerated in recent decades. These trends disrupt existing business models by creating new competitors, reordering supply chains and lowering price points. The next waves – including the emergence of Africa and a more multipolar world – will increase complexity and require flexible business models to respond to global shifts. Demographics – In the decades ahead, relatively high birth rates will make Africa and India engines of economic opportunity. Aging populations will transform everything from health care to real estate, while millennial-dominated workforces will reinvent the workplace. EYQ helps organizations seize the upside of disruption. We generate new insights by bringing together business, the public sector and academia to challenge entrenched thinking, shift perceptions and help catalyze change. By asking better questions around megatrends and other disruptive forces impacting the global economy, we tease out more creative answers. This report is an example of the insights EYQ will continue to deliver. We want to sense new trends early, and understand and communicate their implications quickly and powerfully. That’s how we answer the question, “What’s after what’s next?” Find out more about EYQ. Meanwhile, urbanization will increase cities' economic and public policy clout, even as it strains their ability to grow in sustainable ways. Migration and immigration will also have profound impacts on workforces and economic development. All these demographic shifts will require new strategies and business models. By understanding the interaction between these three forces, we've identified eight global megatrends that are shaping the future. These are large, transformative trends that define the present and shape the future by their impact on businesses, economies, industries, societies and individual lives. These eight megatrends generate key questions to answer. Is every industry now your industry? What intelligence will we need to create a smart future? When machines become workers, what is the human role? How will individual behavior impact our collective future? How will you change buyers into stakeholders? In a fast-changing world, can cities be built with a long-term perspective? Can innovation make the planet resource rich instead of resource scarce?